Millennium Greens are permanent areas of green space created for local communities throughout the UK. Two hundred and fifty greens were sponsored by the Millennium Commission as part of a national endeavor to celebrate the Millennium. 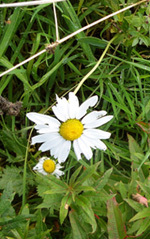 They were administered by Countryside Agency, later being transferred to English Nature. Initial funding was awarded competitively from the Big Lottery provided that matching funds could be raised from the third sector– including corporate and individual contributions. While most Millennium Greens work extremely closely with Local Councils, each is owned and run by an independent Charity accountable to the Charity Commission and English Nature in an attempt to preserve the open spaces in perpetuity for the local community. Various conditions are specified in the Trust Deeds: that they should be open to the public during daylight hours, and that as a Charitable Trust they are accountable to the Charities Commission. They should be attractive places for people to take air and exercise and enjoyed by people of all ages and physical abilities. They should also include an area suitable for public events as well as providing significant natural areas. The Deed also specifies that no permanent buildings should be erected and that no more than 10% should be allocated to hard areas or car parks. No formal sports grounds or playground apparatus should be built although covered spaces for maintenance equipment is allowed.